Pryce Warner QROPS have been accredited by HMRC and offer a multitude of benefits to those looking to invest their pension overseas. A Qualifying Recognised Overseas Pension Scheme, or QROPS, is an overseas pension scheme recognised by the HMRC which can receive transfers from UK Pensions Benefits without incurring an unauthorised payment and scheme sanction charge. Expats are finding QROPS increasingly attractive as they offer excellent currency and investment flexibility, as well as their ability to be transferred to beneficiaries in the event of death. A QROPS can be appropriate for UK citizens who have left the UK to emigrate permanently and intend to retire abroad having built up a UK pension fund. Alternatively, a person who is born outside the UK having built up benefits in an HMRC-approved UK pension scheme can move their pension offshore if they want to retire outside the UK. Usually only one QROPS with a wide choice of investments is chosen, however, clients may hold numerous QROPS if required. 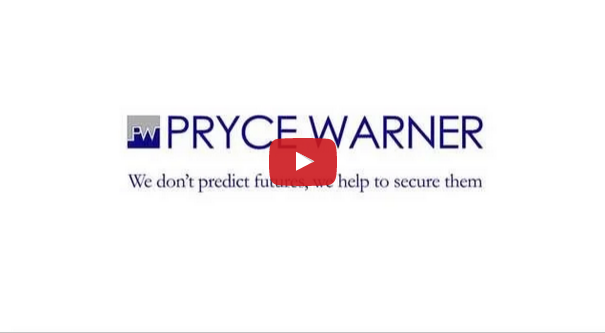 Pryce Warner account managers will review your requirements and advise you. The tax benefits of QROPS make them even more attractive. Pension funds, if left in the UK, are taxed up to 45%. This remains the same even after death and after the recipient reaches 75 years old. Transferring your UK Pensions into a QROPS reduces its taxable amount and avoid UK taxation if the recipient remains a tax resident outside the UK. Why should Expats consider QROPS? QROPS are increasingly attractive and do offer a viable option for many expats. This is particularly because QROPS can bypass any changes to the pensions goalposts that the UK Government may impose, such as raising the retirement age and changing lifetime allowance. There is also an added tax benefit as QROPS avoid unforeseen tax charges on pension funds not drawn by the age of 75 and the effect of low UK gilt yields on pension incomes. There is also no obligation to invest in an annuity or restrictions on drawdown. Whatever your pension size, QROPS may still be suitable as any number of small pension pots can be consolidated into a QROPS to make a bigger investment fund and to reduce charges. The quality of the investment management of your QROPS will have a profound effect on the income available for drawdown and the remaining value of the QROPS should remaining proceeds go to your beneficiaries. What countries offer the best QROPS? Pryce Warner QROPS are based in Malta and Gibraltar. Both offer excellent QROPS opportunities for varying reasons. Malta is an English-speaking jurisdiction with excellent regulation and a flexible approach to QROPS. And, as a full EU and Commonwealth member, the island has a long history of economic and financial security. Malta is on the Organisation for Economic Co-operation and Development (OECD) ‘White List’ for global standards in tax co-operation and information exchange. Every pension scheme has to be independently regulated by the Malta Financial Services Authority (MFSA), giving the island very high levels of security and confidentiality. With legislation based on the UK model, companies who wish to administer retirement schemes have to be registered in terms of the Special Funds (Regulation) Act, making Malta’s QROPS provision amongst the best-regulated in the world. All retirement schemes on the island are governed by the Special Funds (Regulation) Act 2002, which states that applications must be clearly specified and accompanied by a trust deed or scheme document. While other QROPS jurisdictions established schemes then had to answer questions from HMRC, Malta chose to engage HMRC from the outset and design a scheme which fitted the requirements exactly. This gives us the confidence in recommending a Malta QROPS as one of the most robust schemes currently available. Gibraltar is a member of the EU and is a UK crown dependency, bringing with it a sense of stability and familiarity, an aspect which is reassuring to many UK pensioners. Thanks to a highly regulated and sophisticated financial services sector, Gibraltar is expected to quickly become a major jurisdiction of choice. Gibraltar offers flexibility in investment opportunities due to a diverse range of products, meaning pensioners have increased control over where their pension funds are invested. Gibraltar QROPS offer a large degree of flexibility on investment choices, along with many expert companies able to give professional advice and regulatory guidance on the best possible options, on a case by case basis. Multiple pension funds can often be conveniently consolidated into one QROPS. Lower tax liability on pension income: income benefit payments are subject to a withholding tax rate of just 2.5%, deducted at source. Unlike in the UK, death benefits are paid gross, due to the absence of inheritance tax. There is no taxation on lump sums in Gibraltar. Why choose Pryce Warner to administer your QROPS? Pryce Warner however offer personal service & Proven QROPS performance with every client assigned their own personal account manager who is readily contactable via telephone mobile and email. As with any responsible investment provider, quarterly and annual reviews are provided as standard.